Literary Aspects of the "Cantar"
Discount: 10% off accommodation applies if you present the letter of safe conduct of The Way of El Cid. 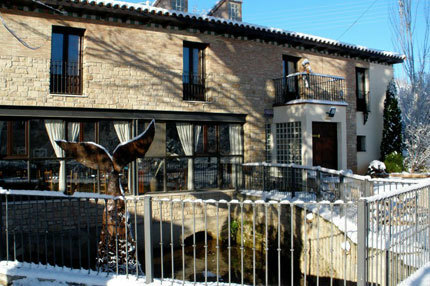 The Molino de Burbáguena hotel, which is situated just 300 metres from the city centre of Burbáguena in Teruel, has 6 bedrooms with a bathroom. It has a maximum capacity for 18people. The hotel offers free Wi-Fi. Tourism and travel-related services: Breakfast and dinner are served. Specific bicycling-related services: Our hotel is bike friendly. There is a secure, closed storage room, which is equipped with hoses to clean bikes. 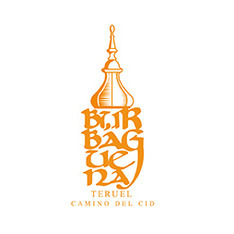 The Consortium Camino del Cid (Way of El Cid) is a Spanish non profit public corporation formed by the Provincial Councils of Burgos, Soria, Guadalajara, Saragossa, Teruel, Castellón, Valencia and Alicante.